The rollout of the SafeScript real-time prescription monitoring program in Victoria is a major step forward for medicine safety, according to the Pharmaceutical Society of Australia (PSA). 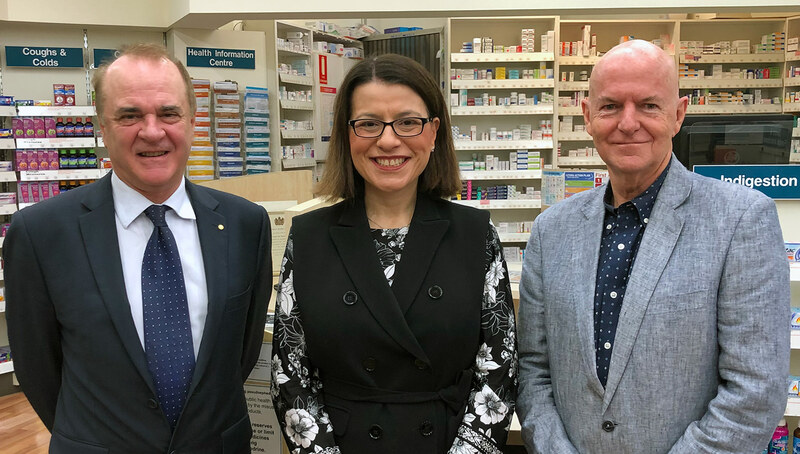 SafeScript rolls out statewide today and was launched by the Victorian Minister for Health the Hon Jenny Mikakos at previous PSA National President Joe Demarte’s Amcal Pharmacy in Carlton on Sunday. PSA Victorian President Benjamin Marchant said PSA thanked the government for its commitment to protecting the public from medicine misuse with the SafeScript program. “The Department of Health and Human Services has already made excellent progress with the introduction of SafeScript in the Western Victoria Primary Health Network and other areas since last October,” Mr Marchant said. “Pharmacists and prescribers play a vital role in using SafeScript to improve patient safety by reviewing their patients’ prescription history for high-risk medicines. “One of the key actions in PSA’s Pharmacists in 2023 report is to embrace digital transformation to improve the quality use of medicines; support the delivery of safe, effective, and efficient healthcare; and facilitate collaborative models of care. “Technological improvement in pharmacist care through systems such as SafeScript allows us to make full use of pharmacists’ skills and improve the health of all Australians.